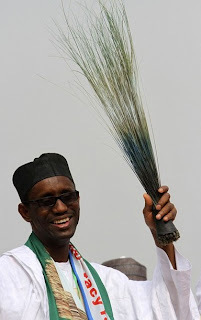 The Kaduna State chairman of the Action Congress of Nigeria (ACN), Barr Mohammed Musa Soba, has claimed that his party sold its Presidential Candidate in 2011, Mal. NuhuRibadu, to the ruling Peoples Democratic Party (PDP) for One hundred million dollars (N16 Billion). The ACN chairman, in a statement, said he told his party leadership to stop being hypocritical and rather address the crisis within the party. He demanded for an explanation from the national leadership on why the Party sold out its presidential election to the PDP in the South-West in 2011. According to him, ACN is a mere political party without Board of Trustees and visionary leaders and has always abused its own constitution and shamelessly label others as clueless and dictatorial. Reacting to the recent media comments by the party’s national publicity secretary, Alhaji Lai Mohammed, on the Kaduna State ACN leadership crisis, the statement said the Kaduna State ACN under Barrister Soba would never succumb to the abuse of party constitution and reckless statements credited to Lai Mohammed who, of recent, has become a nuisance and an errand boy for political and emotional blackmail. “We challenge Lai Mohammed and the national secretary of the party, Senator LawalShuaibu, to tell the whole world why state chapters like Enugu, Ebonyi, Abia, Cross Rivers, Bayelsa, AkwaIbom, Nassarawa, Plateau, Bauchi, Gombe, Yobe, Borno, Adamawa, Taraba and Kaduna states are all facing national leadership induced crises,” the statement said. On the threats by some national officers of the ACN to drag the Kaduna State government and the Kaduna State Independent Electoral Commission (SIECOM) to court to stop the forthcoming local government election over the later’s recognition of Barr. Mohammed Musa Soba as the duly elected chairman of the party in the state, the statement said it was an empty threat and emotional blackmail by Lai Mohammed.